For Webster Stratton courses contact Debbie for more information on course dates and availability. 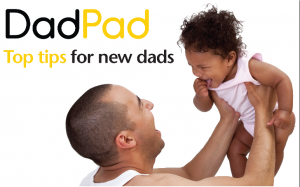 The DadPad is a brand new online resource for all first-time dads in Wiltshire. Babies don’t come with a set of instructions, so if you’re a new dad who would like more information on how to care for your baby and what to expect as a first-time dad, download the DadPad. This essential guide provides tips on everything from caring for a crying baby and how babies like to be held, to how you can support your partner with breastfeeding and how to survive with little sleep.